Happy 400th Birthday, Don Quixote! While money was sometimes tight growing up in Los Angeles during the 1960s and 70s, my parents always made certain we, their five children, had access to books. Not only did we all proudly possess our own library cards (which we used quite often), but our home also had several bookshelves full of classics including volumes by Mark Twain, Willa Cather, Voltaire, James Joyce and, of course, Miguel de Cervantes, the author of Don Quixote of La Mancha. My parents had a well-worn John Ormsby translation of Don Quixote. Fueled by their encouragement and the novel's haunting Gustave Doré illustrations, I read -- and finished before entering high school -- this massive book that has been called the first modern European novel. As with so many readers before me, I was entranced by the older, book-addled man who loses his grip on reality and begins a quest as if he were a knight. He dubs himself Don Quixote and also renames his broken down horse, a local farm girl, and a corpulent neighbor who have become some of the most beloved characters in literature: Rocinante, Dulcinea del Toboso, and Sancho Panza, respectively. I was so taken by the novel, I even drew a few panels of what I had hoped would be a serialized comic strip version of Don Quixote. This fantastical, hilarious, and heartbreaking book played a crucial role in inspiring me to become an author. It ignited my imagination and made me want to tell my own stories. Don Quixote was originally published in two volumes, in 1605 and 1615. Accordingly, this year marks the 400th anniversary of the complete novel's publication. In celebration, Restless Books has just published a handsome new edition of the Ormsby translation with an introduction by Ilan Stavans, the press's publisher. Stavans is also the author of this year's Quixote: The Novel and the World (W. W. Norton), where he maps the book's truly astonishing impact on culture, literature, drama, film, and art. Stavans is perfectly suited to hosting this tribute. 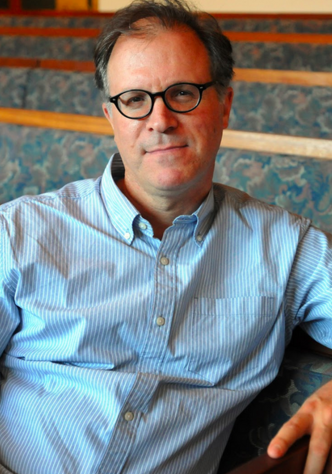 He is a professor in Latin American and Latino Culture at Amherst College, a translator, and a prolific author of both fiction and scholarship. Among his recent books are Pablo Neruda: All the Odes (as translator) published by Farrar, Straus & Giroux; The Norton Anthology of Latino Literature (editor); and the forthcoming The New World Haggadah (Gaon Books). Stavans kindly agreed to answer a few questions about the Restless Books reissuance of Don Quixote and his own volume on this great novel. Why re-release a classic such as Don Quixote, and why write a whole book about its history since publication? Stavans: My favorite definition of a classic is a book that everyone knows but no one reads. The second part of Don Quixote was published exactly 400 years ago. All things considered, it is the most popular novel in the world, with consistent annual sales in every standardized language. Also, it is arguably one of the most influential books ever. Writers from across the globe almost always rank it as their top choice. In English alone there are 20 full-fledge translations, the first dating back to Cervantes' time and the most recently only a few years old. In truth, the book doesn't need to be re-released because it is permanently available. 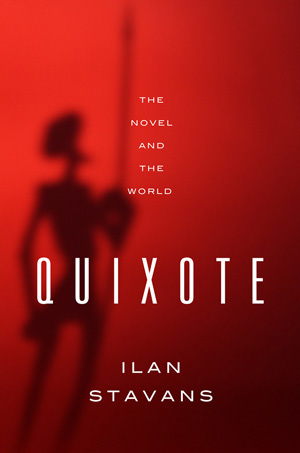 Still, every generation discovers it anew and the purpose of my cultural history, Quixote: The Novel and the World (W. W. Norton), and the new Restless Classics edition is to show the degree to which generations of readers have added layers of interpretation. How is this edition different from previous editions? Stavans: The Restless Classics edition is path-breaking in that, aside from presenting the John Ormsby translation in handsome format, with gorgeous illustrations by Mexican artist Eko, it is accompanied by videos (both in the print and e-book versions) the reader accesses every so often. The videos, which I did over the summer, serve as a GPS, a kind of compass and a Book Club guide, that are presented in an engaging, thought-provoking manner. In other words, this is an edition designed for audiences interested in having a novel as a point of departure for cultural understanding. 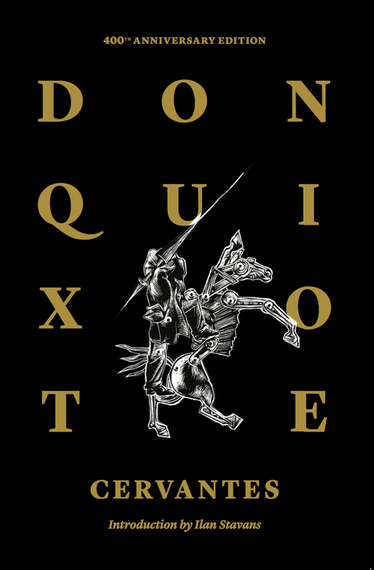 Don Quixote is a long -- and long-winded book -- that sometimes feels like a labyrinth. This added component allows for a different kind of narrative experience. What is your Don Quixote "elevator pitch"? Stavans: Don Quixote isn't only a novel; it's a manual for life. It is about friendship, about pride, about patience and understanding, and more than anything else, it is about never renouncing one's own dreams. Mark Twain paid tribute to it in Huckleberry Finn and so did Arthur Conan Doyle in Sherlock Holmes and Doctor Watson. George Washington had it next to him when he signed the Declaration of Independence, Faulkner read it once a year. Orson Welles tried to adapt it into the screen, a feat that overwhelmed him but it didn't defeat Cantinflas, who made two Quixote movies. Borges wrote one of his best short stories about Don Quixote. Nabokov thought it was the cruelest book ever. Picasso created a drawing of it that became a stamp. Salvador Dalí illustrated a pricey edition. And José Guadalupe Posada made a famous calavera out of it. The Muppets paid tribute to it. And then, of course, there's the saccharine Broadway musical, Man of La Mancha.